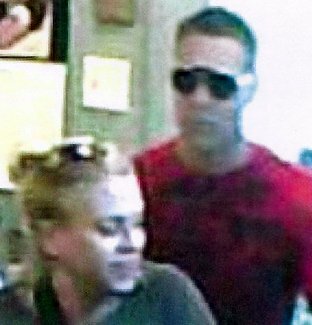 An unidentified man and woman passed about $1,000 in counterfeit bills at two Magazine Street boutiques recently, police say, and now that investigators have obtained images of them from surveillance cameras, they are seeking the public’s help in finding the couple. The couple was using a combination of counterfeit $100 and $5 bills in two stores — the two together in Revival Outpost, and the woman alone in Buffalo Exchange — near the Garden District section of Magazine Street, said Sgt. Marc Hedgemon of the NOPD Sixth District property crimes division during the weekly Comstat meeting. Anyone who knows or sees the couple is urged to call Hedgemon or Detective Jeffrey Yount immediately at the Sixth District station, 658-6060.